They have over 400 flavors of natural lip balm to choose from! 400 FLAVORS! I am in paradise with all of the amazing options that not only do a fantastic job of hydrating my lips but they also smell delicious. You name it -My Lip Stuff has a lip balm for it. They actually have one called cat piss. My personal favorite thus far is the Rainbow Sherbet. It smells so yummy!!! Perhaps it's the kid in me that would still like to purchase smelly markers and will buy anything scented like food but I am completely in love with this company. 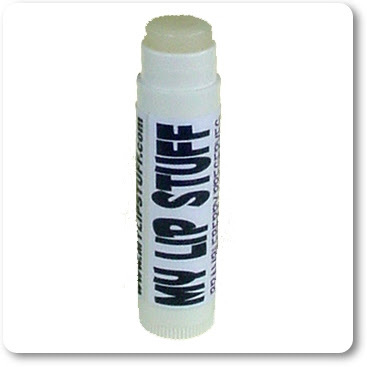 In addition to the huge selection of flavors the lip balm is natural and never tested on animals. Sour Lemon, Almond... Yum. I've never seen flavors like this. Would absolutely love to have these! I'm a subcriber. i'd love to see apple mint! how about Key Lime Pie? Wow, they have every flavour I can think of... lemon cola? Yep... black forest cake? Yep... Maraschino Cherry? Yep... they even have White Chocolate Mocha and Bacon!! Wow--that's a lot of flavors! Whatg about Nutella flavored? That stuff tastes great! All of my ideas were taken, but I did come up with something they don't have, a wasabi-flavored lip balm. I don't think anyone would want it, though. A mandarin orange flavored lip balm would be nice! I think cinnamon toast would be a fun flavor.